A few months ago, I was gearing up to post twice a week starting in April. But here April is and I have a lot of stuff on my "writing plate." 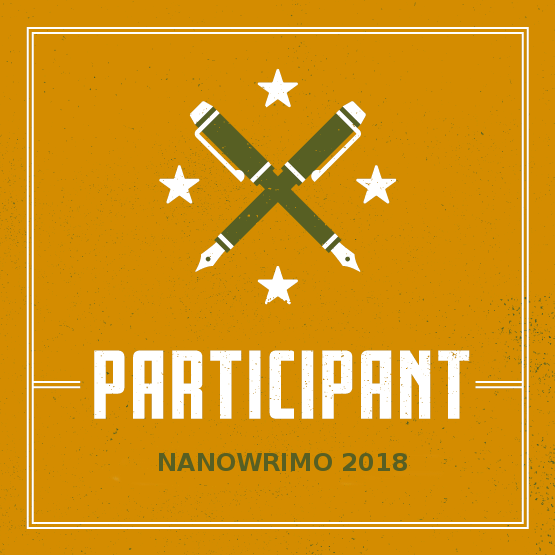 I am going to try and put a lot of effort in my Camp Nano story this April. And as much as I would like to (and probably could) pull off posting on Showers of Blessings as well as writing my hopefully-someday-in-the-future book, I need to cut myself some slack. 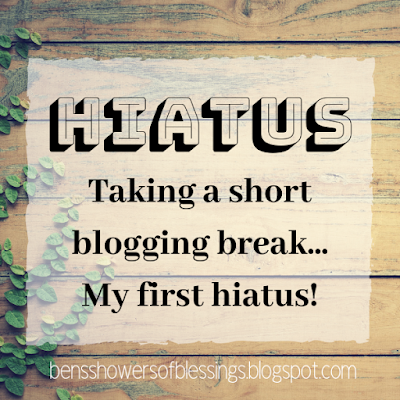 I don't want to set unachievable goals for myself, and that is why I am going on a hiatus. I am going to take most of the month of April off. I will be back on May 1st! 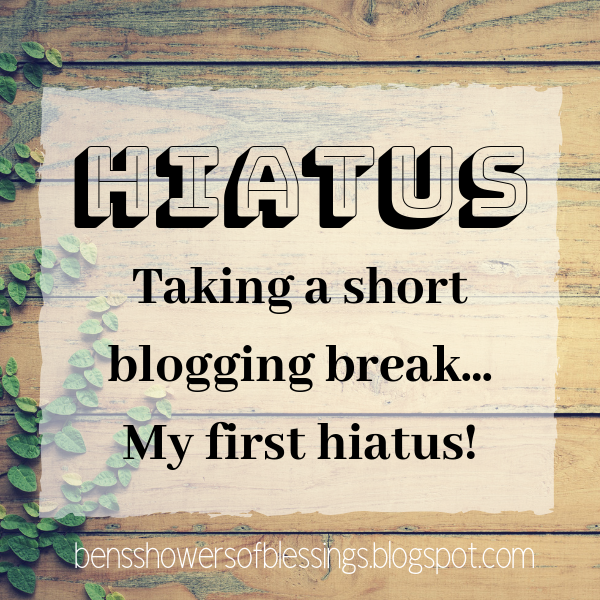 To be honest, I didn't really think I would ever need to take a blogging break this soon. (Well, it has been over a year of blogging, but-) I always have posts to post, and my writing inspiration never sleeps. 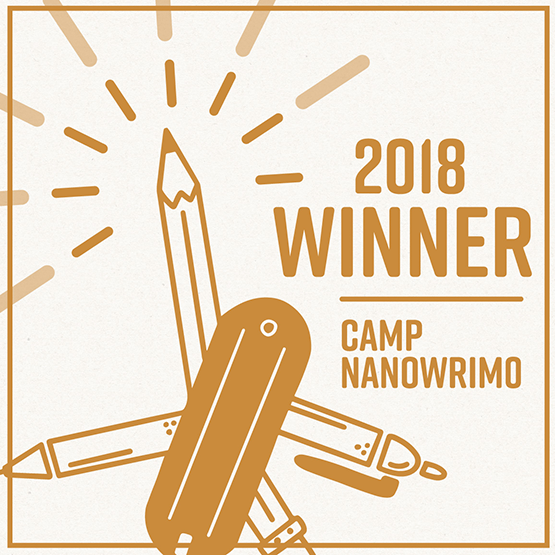 But with Camp Nano and a few other writing projects going on, I am trying not to stress myself out and constantly be glued to my computer 5+ hours a day! My hope is that by the time I return next month, I will be more than eager to get back to blogging with new content and more posts! "If you are feeling like your plate is too full and you are constantly trying to "keep up," I just want to let you know that it is OK to take a break. Everyone needs to recharge now and again. Whether it's with your blog, or something else that is making your life overly busy, just breath. It's ok to take a step back and not be on top of it. Take a chill pill, God is in control and it's ok to stop and say "no" to some things in order to say "yes" to something else. Plans change, that's life. It's gonna happen. Roll with it!" I know you all will understand, and I am really glad for y'all's support! I can't wait until you're back!! Also...heh heh...I will get that email sent to you, it's just been awfully busy here lately. Thankfully, today will be a lot slower paced, so maybe I can send it!! 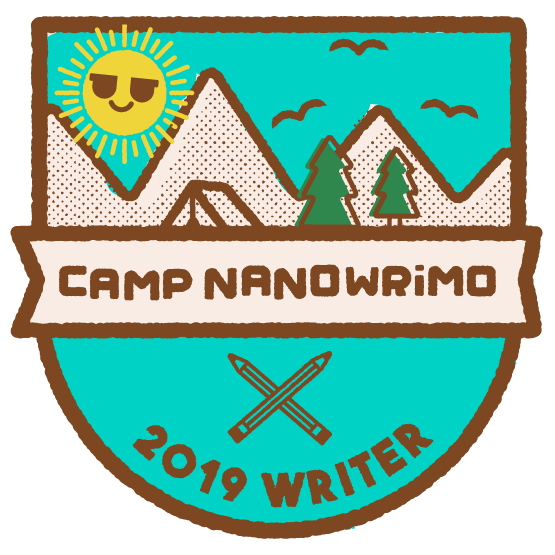 Also, good luck with your Camp Nano!!! Aww, it's good to know I'll be missed! I understand! I will miss your posts this month:-) See you again in May! Totally understandable! Have a good break! I have a question for you, and yes, I know this doesn't have anything to do with this post, but, I've been trying to figure out how to make a book cover, and I was wondering how you designed yours? If your could be of any help, I'd really appreciate it! Thanks! Do you have to have an account? Yes, I do believe you need a account in order to design with Canva. What design did you use? For the cover, I found a book cover template on Canva, then I started from scratch and found different free pictures, background colors, fonts, borders, etc. Yep this has helped me! Thanks! Cool! I will look into that designing site for sure! Thanks, Faith! We all need to take a break sometimes! :) Enjoy your break! Thanks for your support, Molly! I understand! I feel a need for a break too, though not yet. Hope you get some writing done! From now on I'll be commenting from this account (Which is actually the one I email you from. Haha.) 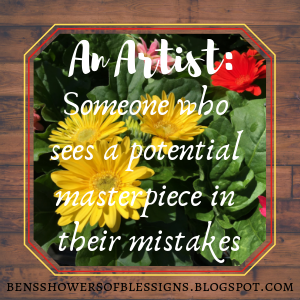 because...*drumroll* I sorta released my blog!!!! I bet it is!!! Aww, thank you!!! I'm glad I am, too!!! *Dances in confetti* You are too kind!!!! 😭 that’s sad! I’ll miss your posts! Have fun! I'm a bit late, but I hope you're having a good blogging break, Brooklyne! It's true -- sometimes we just need to step away from some things for awhile and just be still, and focus on the potentially more important things in our life, like our relationships with our family, friends, and of course, most importantly, Jesus! Thank you, I am! And I totally agree 100%! Hey, just thought I'd let you know, I tagged you for a tag!